April Fool’s Day is here and it’s become one of the biggest holidays on the Internet. It’s a new spring rite of passage for brands to create insane or too-good-to-be-true products and services and offer them to the public to celebrate April Fool’s Day. Here at DogTime, we saw a few that we wish were real. How many times have you actually wished you could text your pet during the day? 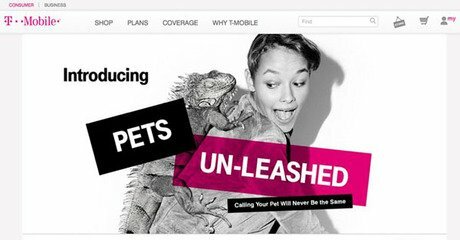 T-Mobile playfully introduces “Pets Unleashed,” which offers texting plans for your pet at rates as low as five dollars a month, unlimited animal content streaming, and a pretty stellar Fetch app. On the official page, T-Mobile has a link for pet owners to donate to the Humane Society, which they will match. Why do these companies tease us with products we would kill for in real life? Rosetta Stone claims to have been working with the best veterinarians and audiologists in the world to help us finally understand what exactly is being said behind those puppy eyes. Although your dog may lay silently on the couch during a movie of your choosing, it doesn’t mean they like it. 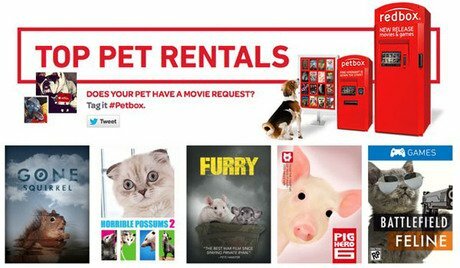 Redbox understands this with their unveiling of “Petbox” – a smaller, animals only movie rental service. It’s probably easier for your pup to browse through titles like “Gone Squirrel” and “Pig Hero 6” on this imagined device than try to figure your remote out, anyway. 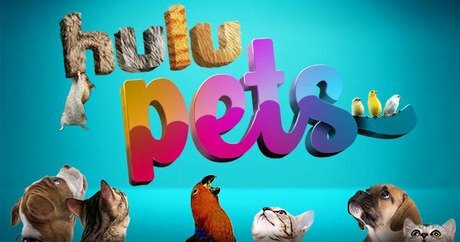 If streaming is more of your pet’s style, then they will probably enjoy Hulu Pets. The site boasts fake trailers for shows like “Clawed City,”a twist on Broad City, “The Real Pugs of Portland,” and “The Bark,” a new pup singing sensation reality show. Come on, you actually got excited at the mention of at least one of those. Let’s face it – you never can get your dog’s good side from your iPhone, despite the 100 photo shoot sessions you indulge in regularly. Petco Unleashed unveiled the “dog on a stick” selfie stick for today only, and when you click to buy, claims that their server is overloaded. With that kind of demand, maybe this is something Petco should consider making a reality. What filter do you think your pup would use – Valencia, maybe? What are your favorite dog related April Fools jokes so far today? Let us know in the comments!